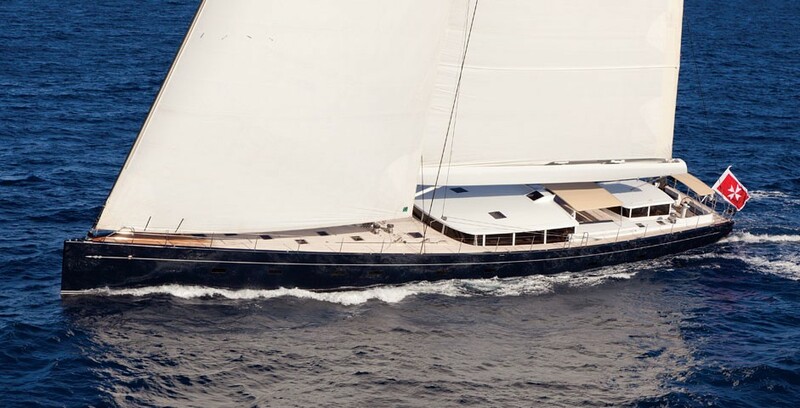 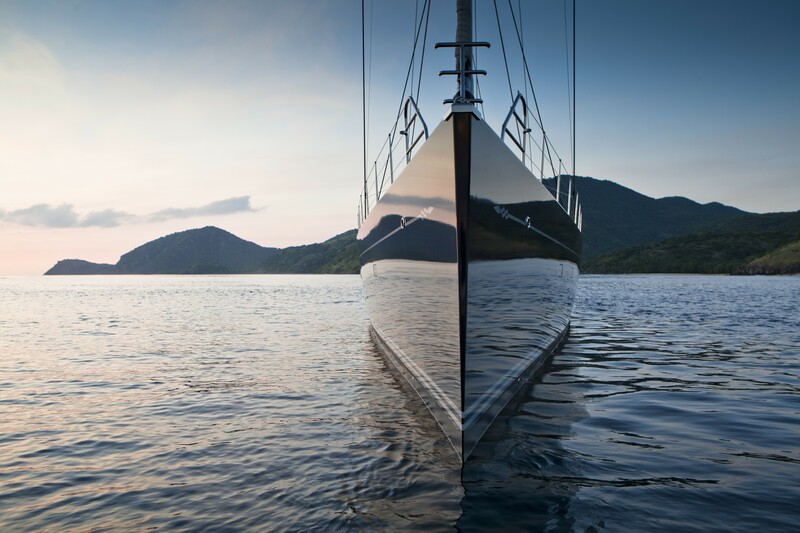 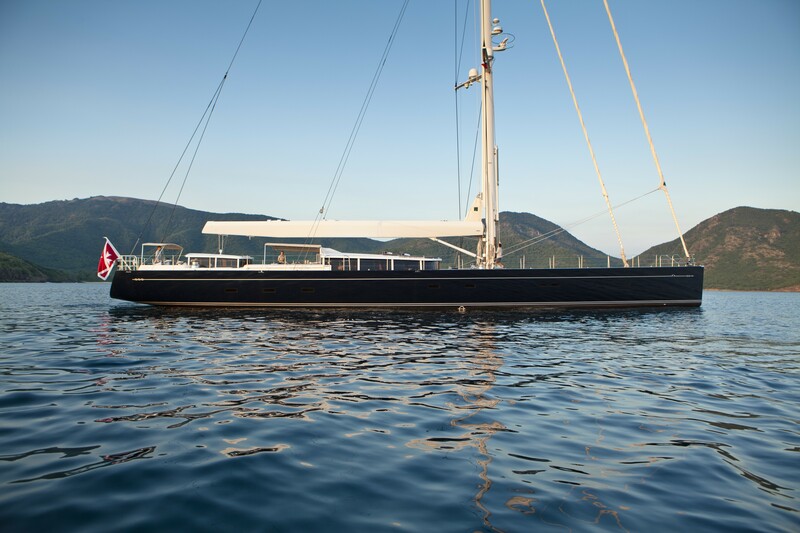 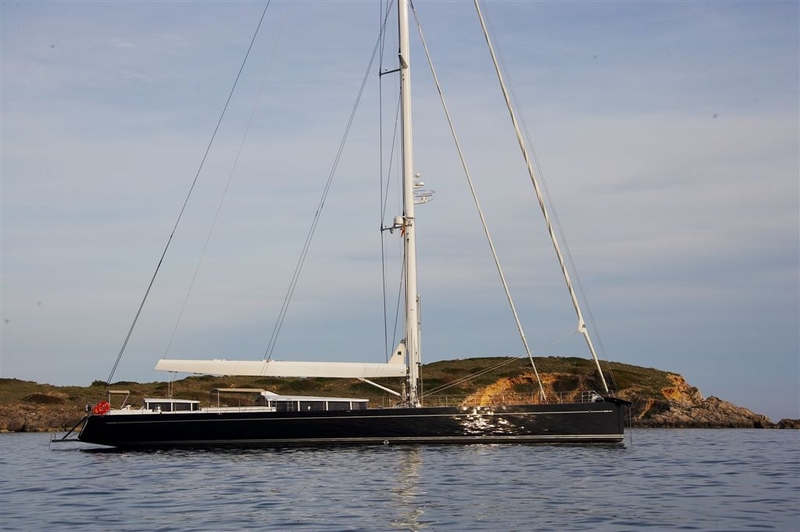 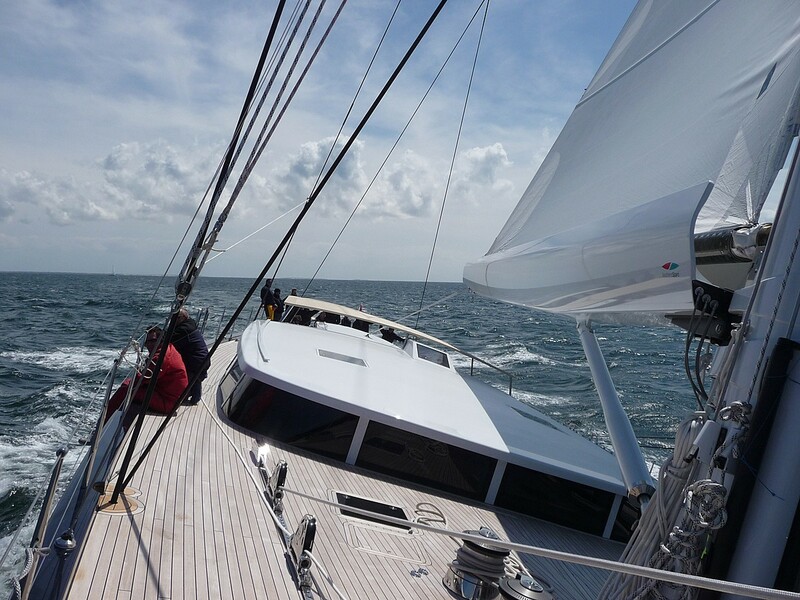 The 39m luxury charter sailing yacht CINDERELLA IV was built by the renowned builders Vitters Shipyard in 2009, in collaboration with Jens Cornelsen and interior designer Donald Starkey, to create a 128 feet sloop for long sailing passages to unseen corners of the earth. 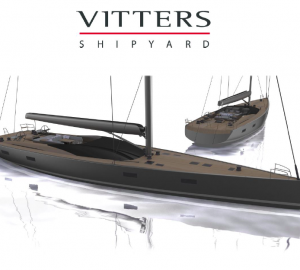 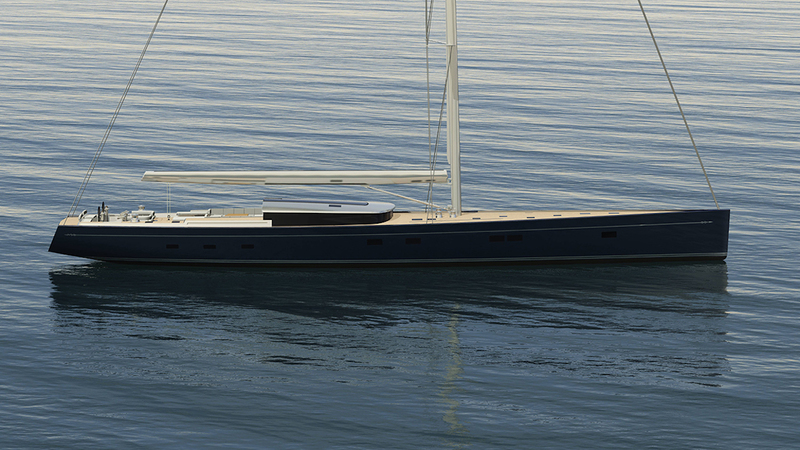 Sailing performance is at the heart of this design, ensuring dynamic performance through a modern sail plan, a lifting keel, a light interior and a rational approach to weight control in systems design and construction, including a Carbon Hull mast and deck houses along with Carbon Stays and PBO Rigging. 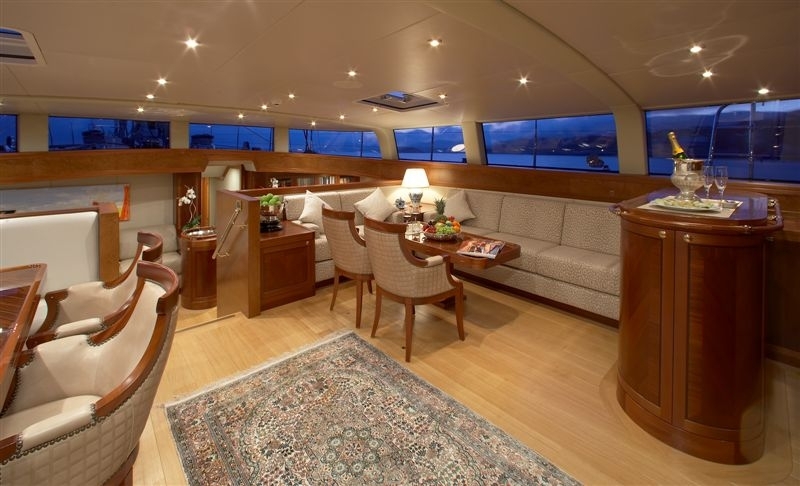 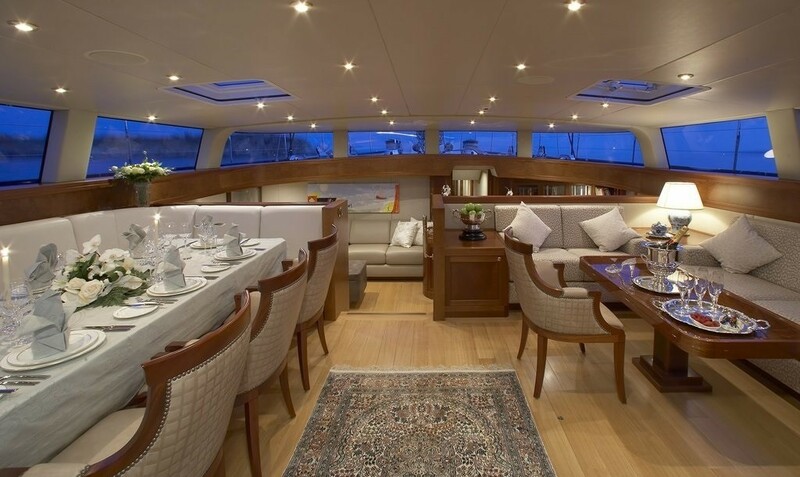 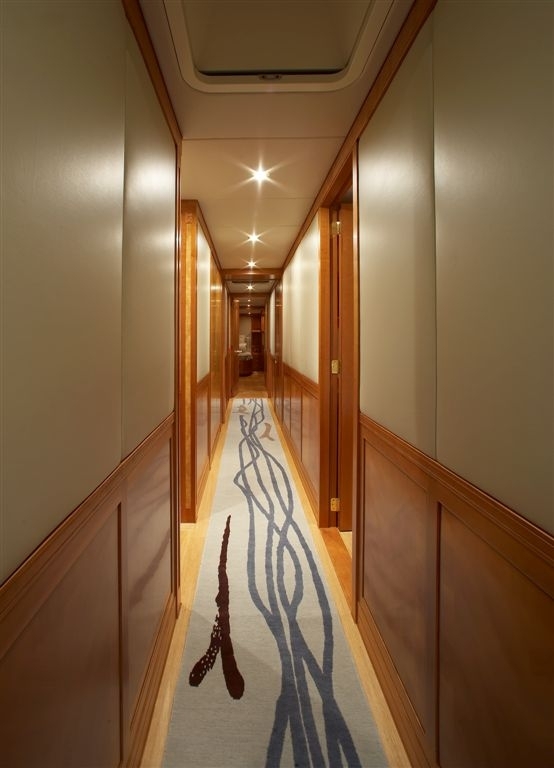 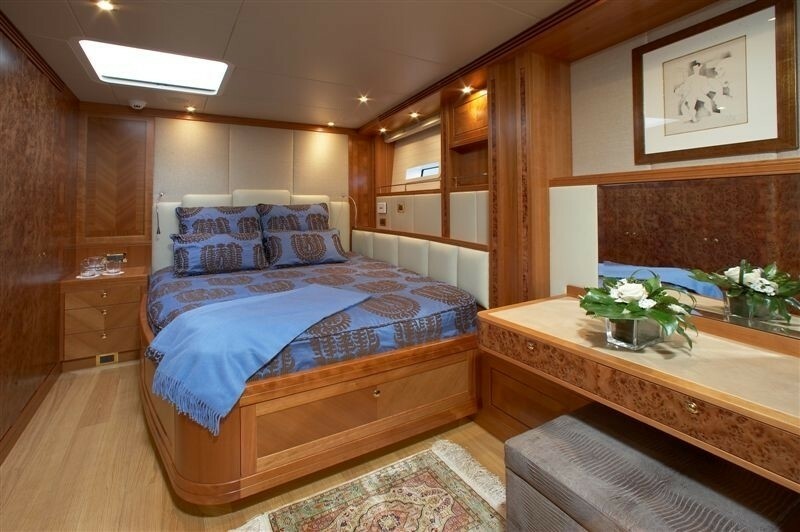 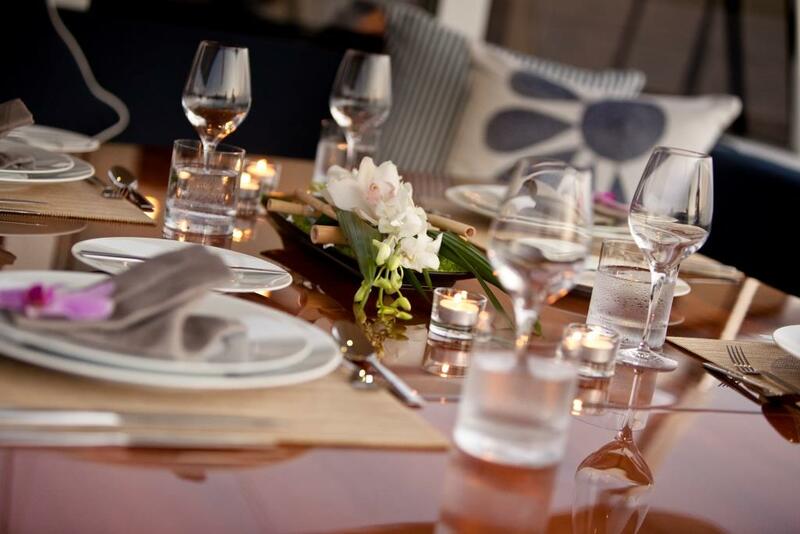 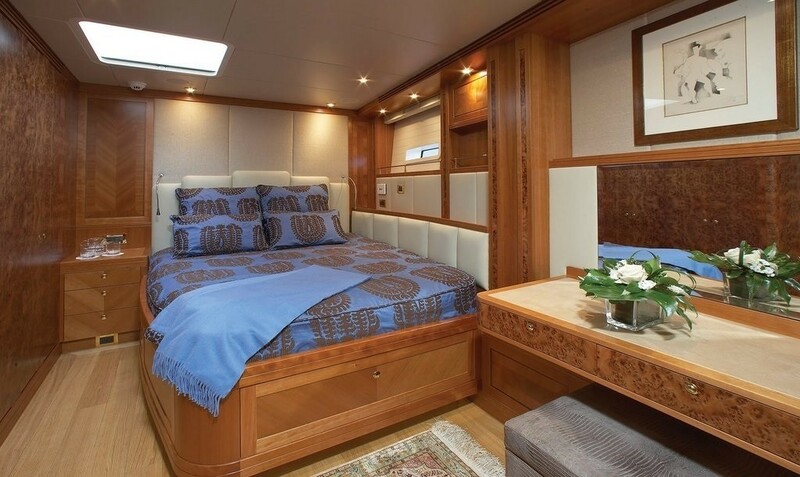 Sailing yacht CINDERELLA IV has a beautiful homely interior, combining warm timbers with attractive rugs, cream upholstered furnishings and wall panelling, which creates an ambience ideal for entertaining and relaxing. 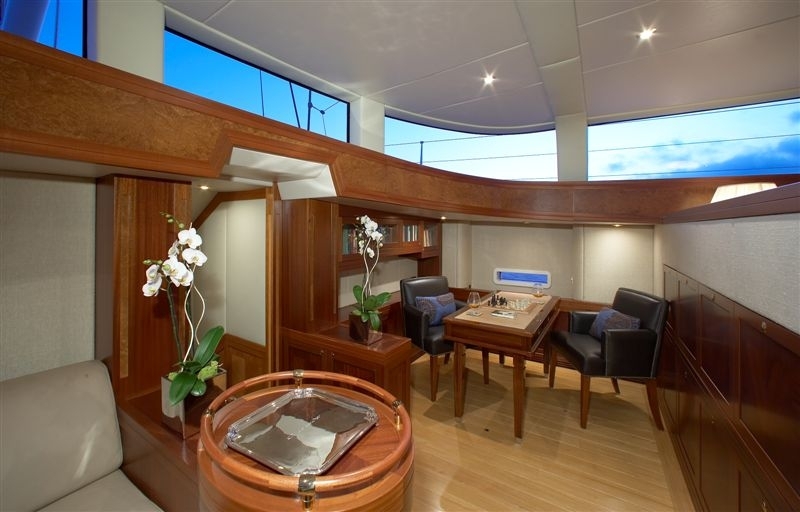 Super Yacht CINDERELLA IV has an attractive lower salon with an office area, and a main upper salon with a dining area, benefitting from large windows, a feature of Donald Starkey’s updated styling, to create sheltered areas with panoramic views. 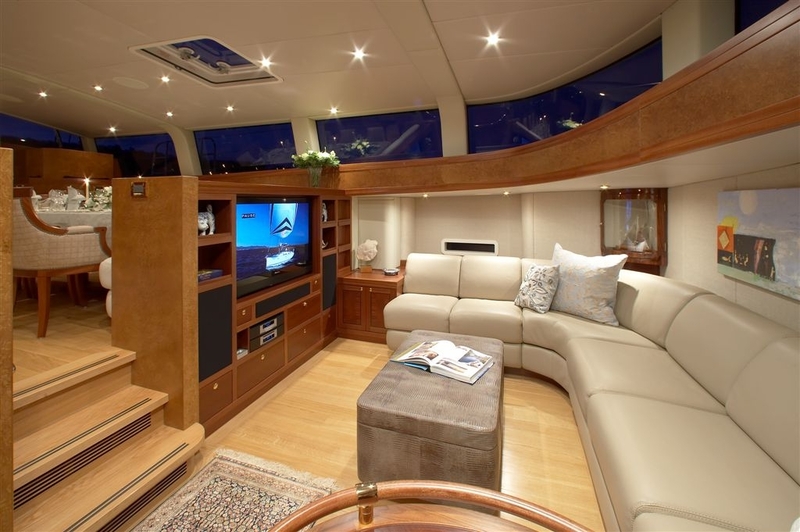 The yacht is well equipped with Wifi/Internet and Satellite TV, and all cabins have TV, DVD and CD players and iPod docks. 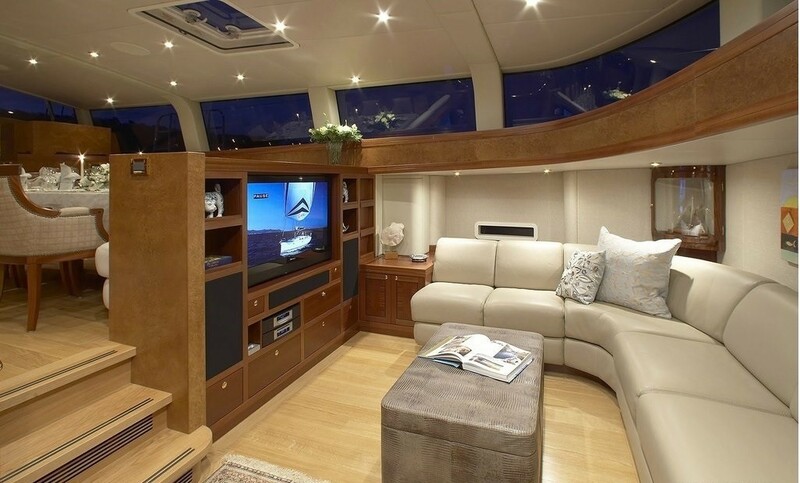 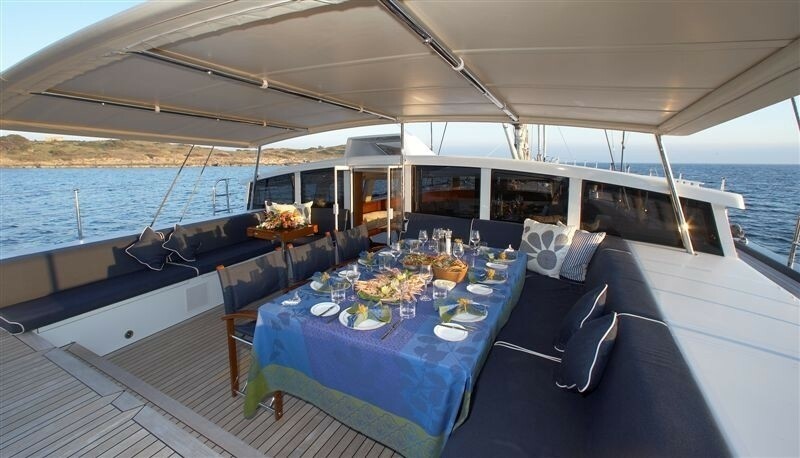 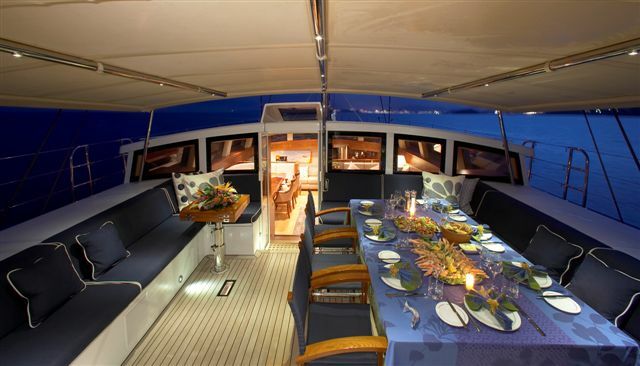 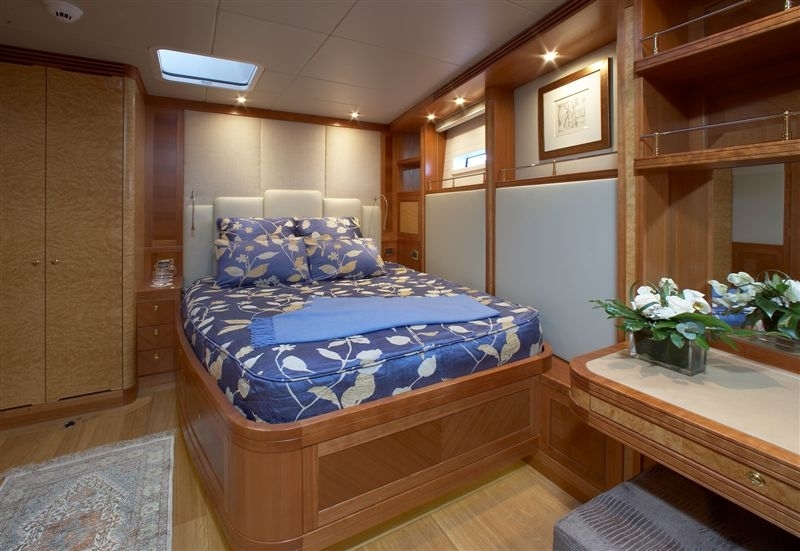 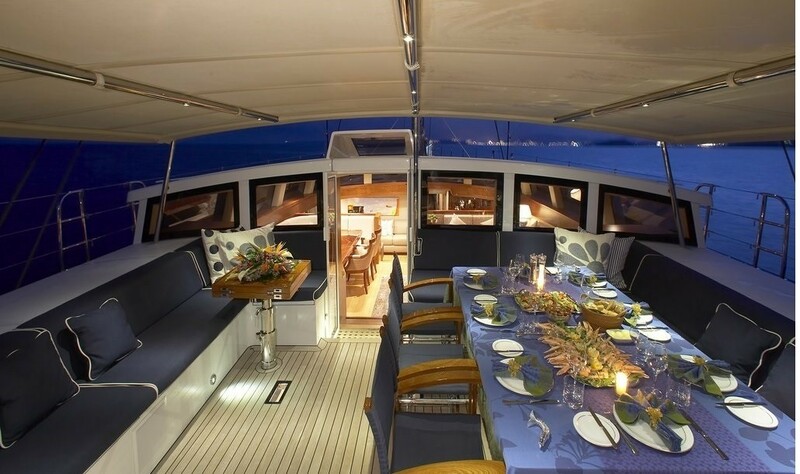 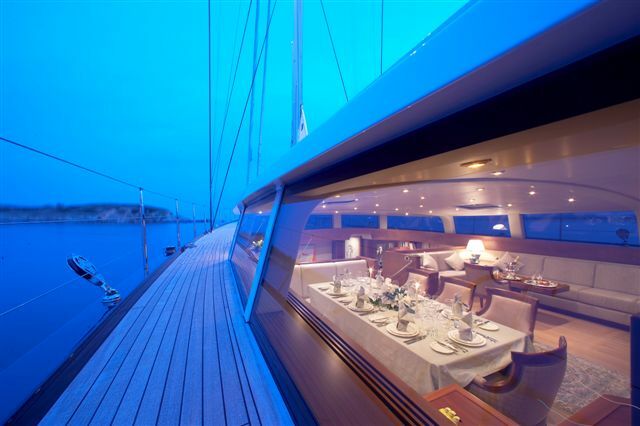 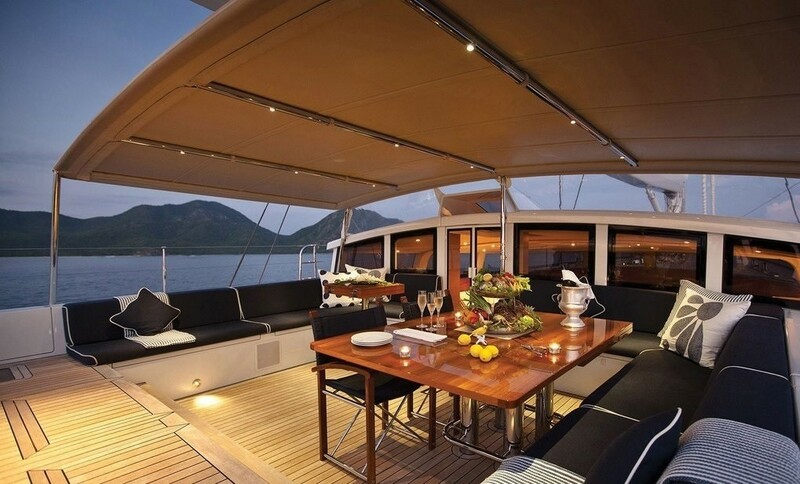 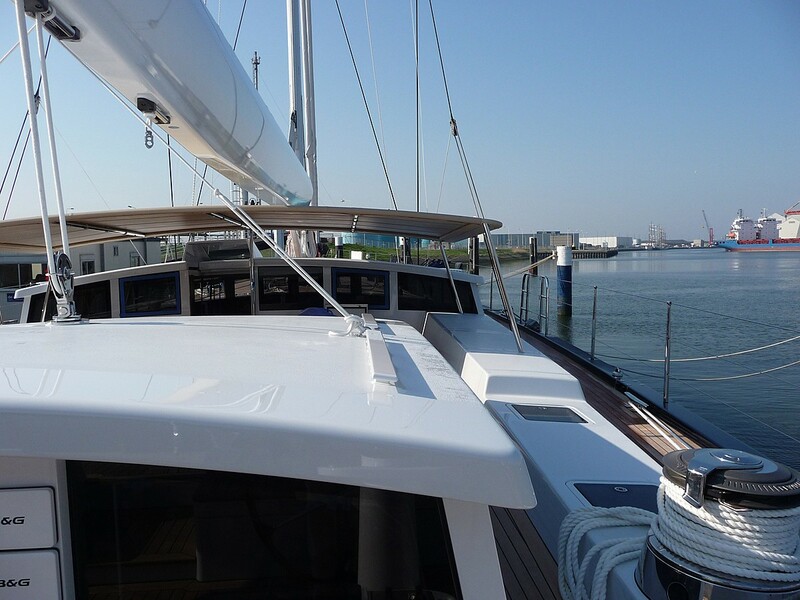 Above decks, she has good deck space forward, and a seating area aft for alfresco dining. 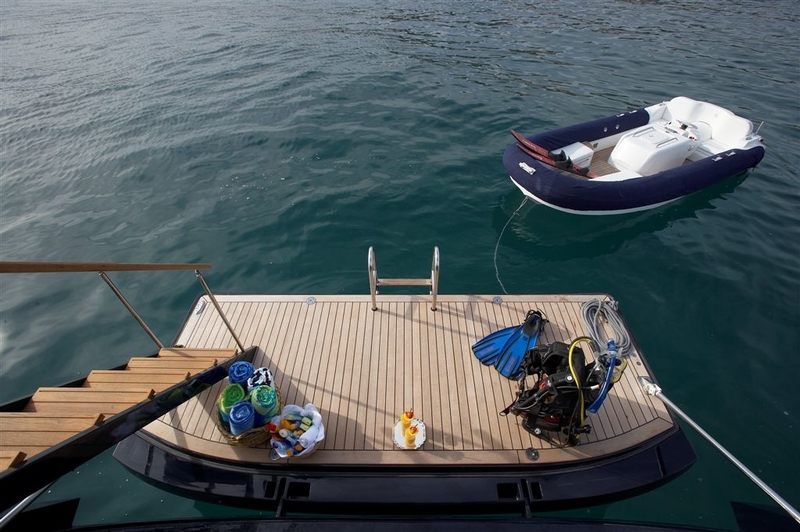 In addition, she has two good tenders, a 5.5m Novurania RIB Tender with 115hp o/b Yamaha engine, a 3.8m inflatable tender with 20hp Yamaha o/b engine, a Donut and Water Skis. 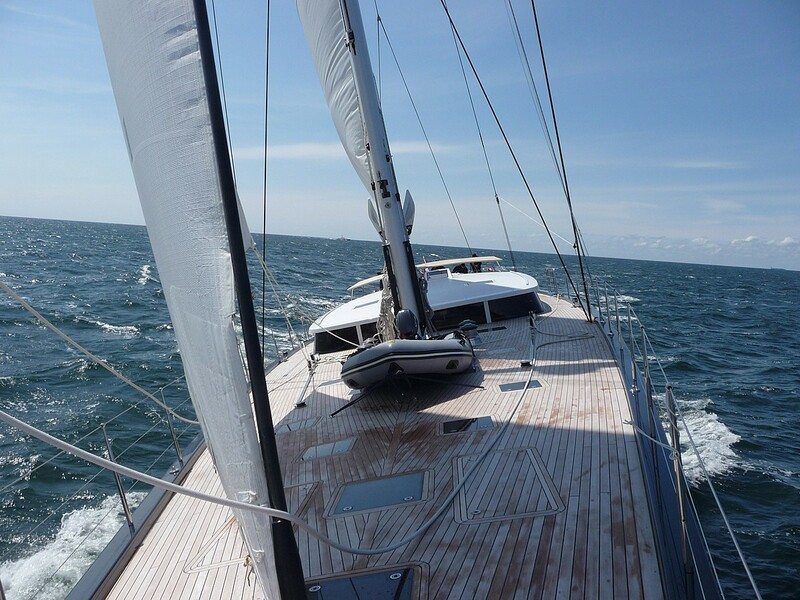 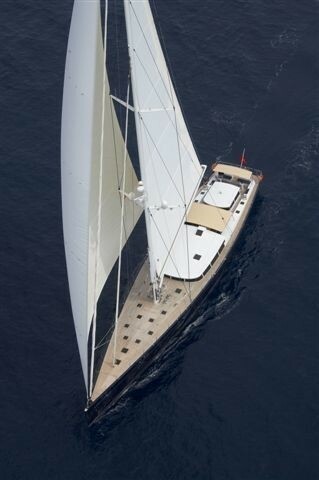 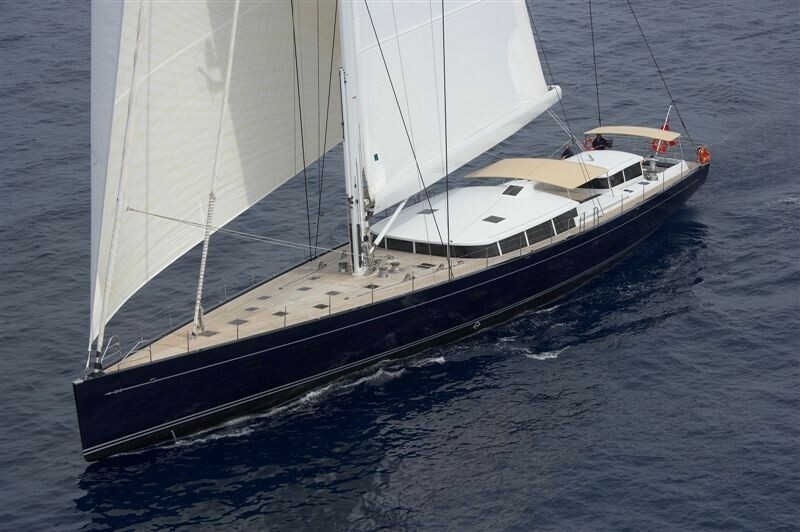 Sail yacht G2 measures 39m (127.11 feet) in length, has a beam of 8.40m (27.6 feet) and a draft of 3.80m (12.5 feet). 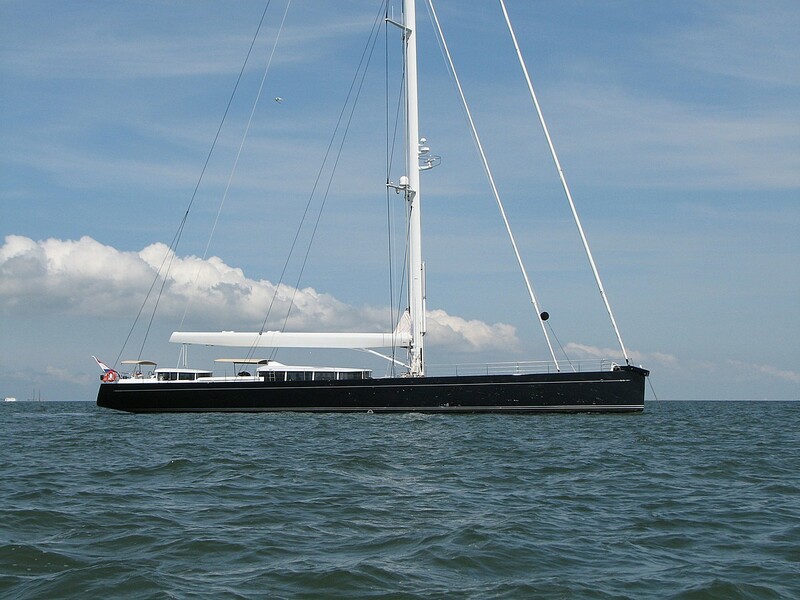 She has 6 crew and cruises comfortably at 10 knots under engine power. 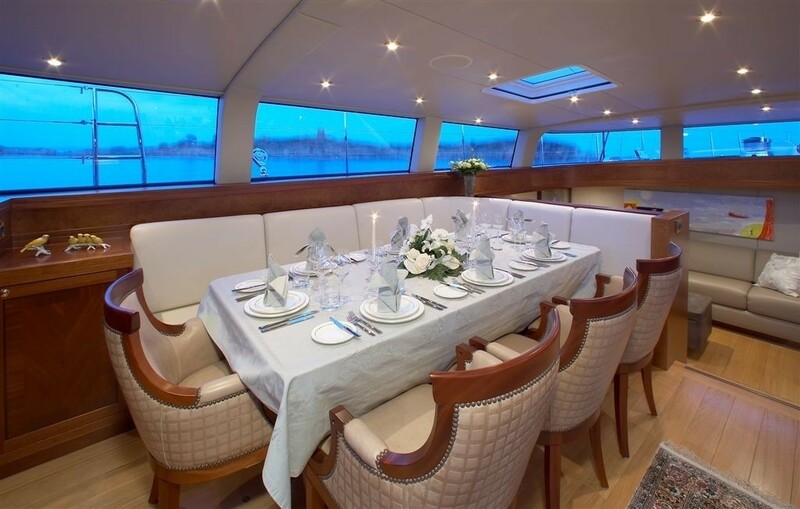 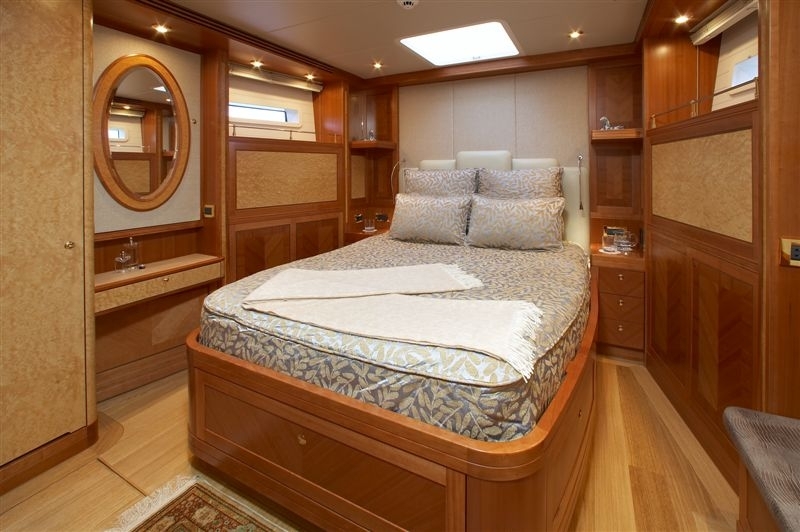 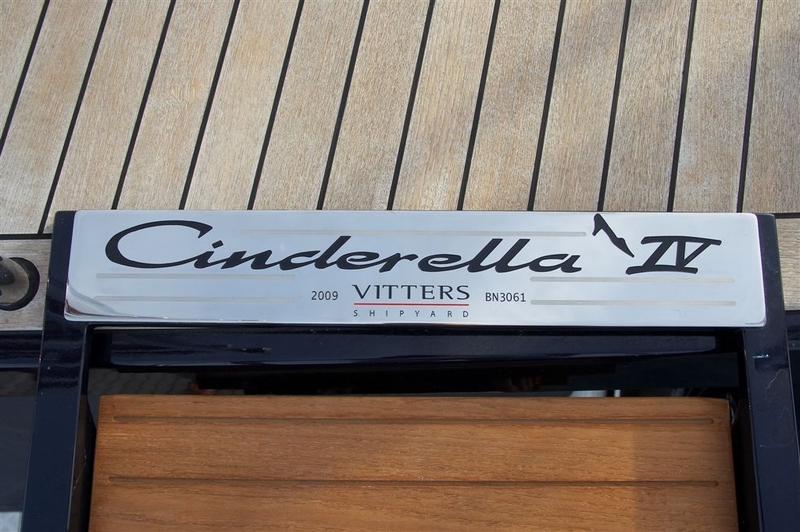 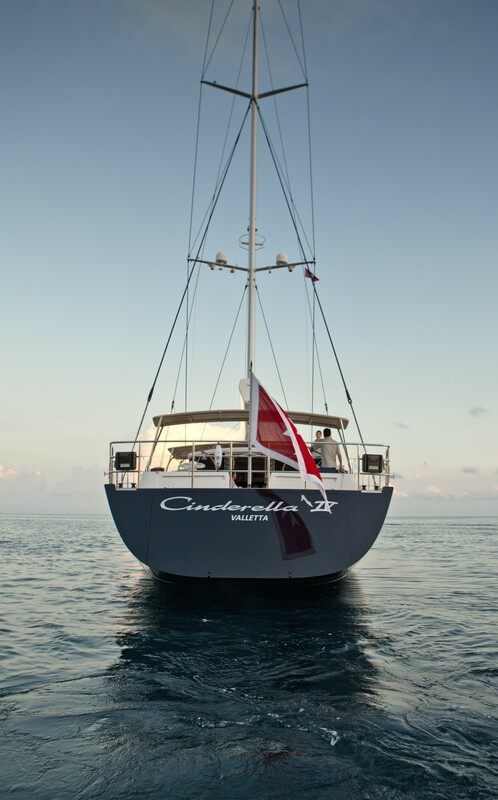 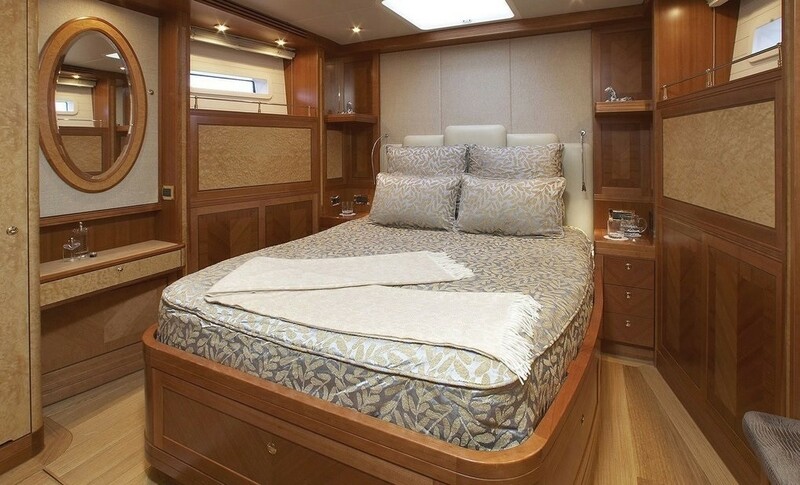 Luxury yacht CINDERELLA IV is able to accommodate up to 8 guests in 4 equally sized cabins located forwards of the main saloon including 3 doubles and 1 twin/double all with en-suite facilities. 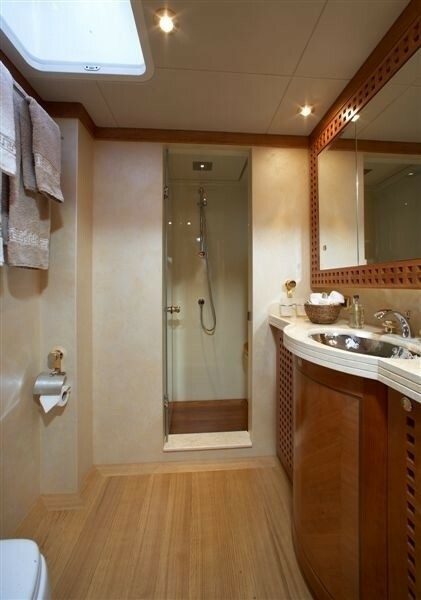 The port aft cabin has a steam shower. 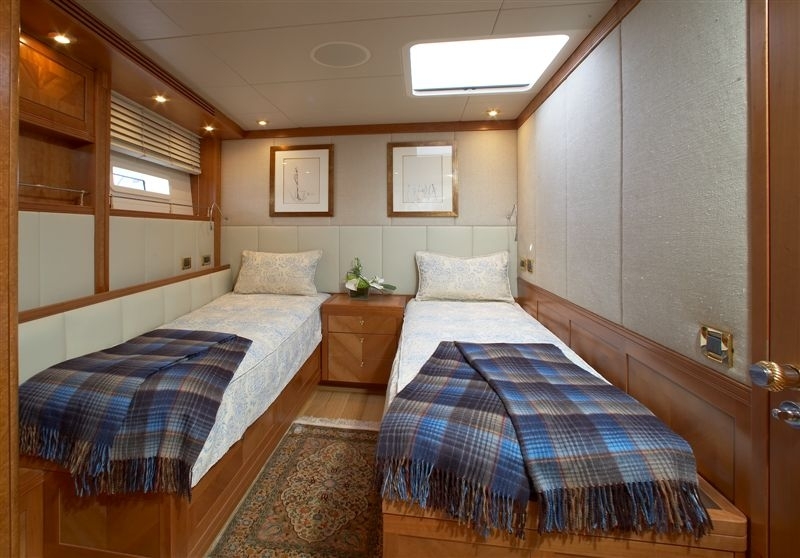 The port starboard cabin converts into a double or a twin. 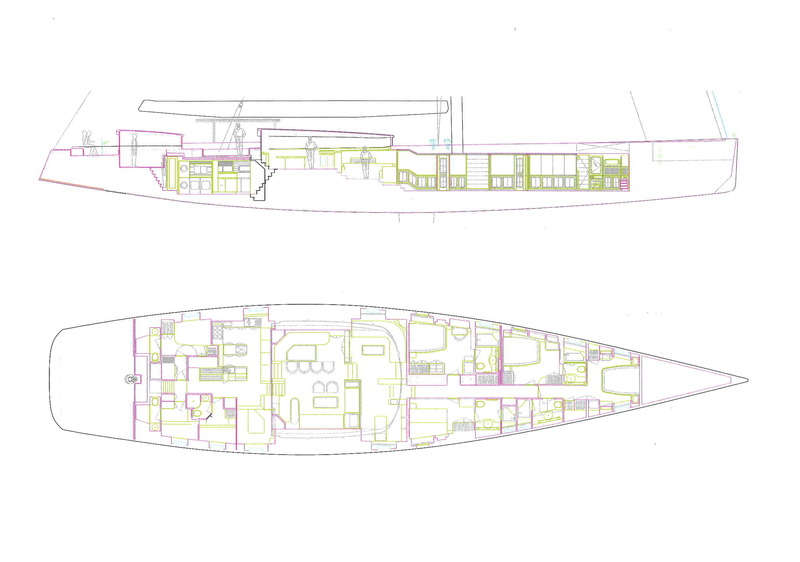 The two forward cabins can be closed off to form a separate suite. 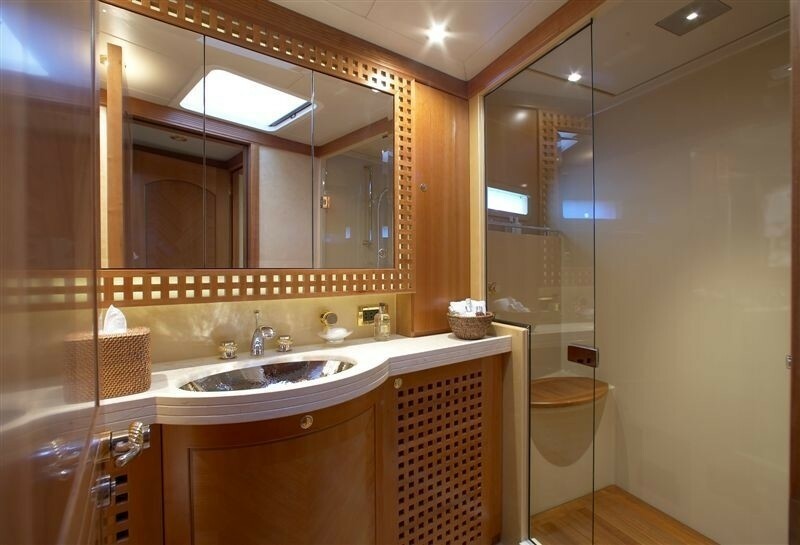 All cabins and bathrooms have opening hatches for fresh air.